Pioneer Sunbeams sing as they walk. Confession time: I haven't been a Primary music leader in years. I've forgotten how many years, actually. But Primary music is so much a part of me that I take it wherever I serve, so I don't feel as if I've ever left! I wanted to share with you a few examples of how I've used Primary music to help me in other callings. I love using Primary music in seminary! Here is a short list of ways I've had it work well. Take a month and focus on Primary songs for the opening hymn. Ask them their favorite Primary songs, and ask them what gospel truths they've learned from them. See my post on this activity here. 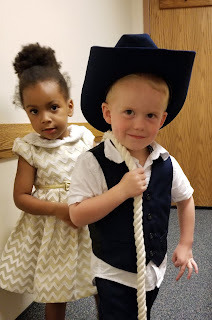 Have them write their own verse to Book of Mormon Stories or Follow the Prophet, as a way of sharing which scriptural personalities they connect with. See my post on this activity here. Bring in Maori sticks to learn the memorization song for your current book of scripture. (For example, The Books in The Book of Mormon). Sharla has a great post with a video of how to use Maori sticks. 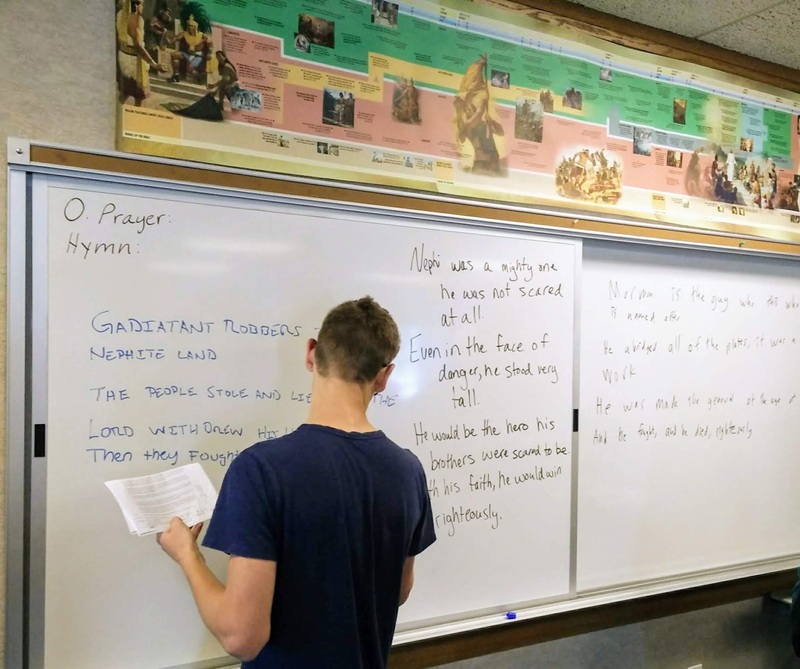 It's complex enough that my seminary students loved it! Show a video of the Mormon Tabernacle Choir singing a Primary song in General Conference. Here is one of my favorites, "He Sent His Son." I have done this numerous times with different songs to help the Spirit testify of a principle we're learning. Youth Sunday school might seem like a harder stretch for using Primary music, but remember, the point isn't to make Primary music fit. The point is to help the youth think about the principles, feel how important they are, and then want to live them. Primary music is fantastic for helping accomplish those objectives. Here are some ways I did that with my 12- and 13-year olds. Show a video of the Mormon Tabernacle Choir singing a Primary song in General Conference, as described above. Bring in Primary song books and have the students find a song that teaches the principle you're learning. Write their own verse, as described above. Sing "Pioneer Children Sang As They Walked" while the children wear simple costumes and walk around the room. (See the picture above. Aren't my Sunbeams just the cutest?!) Stop and do appropriate actions when the song talks about Sunday activities. Sing "I Am a Child of God" while using hand scarves. Sing "I Love to See the Temple" while the children put pretzel sticks on the outline of a temple. Bonus: snack time with a purpose! Or choose another activity with any song the manual suggests. I truly love Primary music for the way it helps me feel the Spirit. No matter the age of my students or the setting in which I teach them, I want them to be able to feel the Spirit in every class. Primary music is one way we can help them do just that. Prepping for a New Songbook--Write Your Own Song! I also love the idea that anyone can submit songs they've written. The announcement came at an especially fun time because I had just had my seminary students, for a year-end lesson, write their own verses to Book of Mormon Stories. 1. Aft’ they left the tower behind, the Jaredites embark. Jared’s brother brought some stones to take away the dark. To the promised land so that the people could be free. Followed God, with the light righteously. But his father prayed for him and asked that he would hear. Through day and night, he asked in faith, righteously. Mmmmh, no, they were psycho, righteously. Aren't these youth fantastic!? I love their thoughtfulness and creativity. Something similar to this could also be a fun challenge for your senior Primary. Then, if they wanted, they could submit their new verses to be considered for the new songbook! Line 4: 6 syllables + "righteously"
We wrote their verses on the board so everyone could sing them, and they were really into it. I love any time we can bring the music of the Church into our lessons, to help students of all ages learn. Looking for other ways to get Senior Primary kids more involved? Read how I've used child pianists, here. For an idea of how to adapt a junior Primary activity to be more interesting for senior, try this one. I love the song, "If the Savior Stood Beside Me" (find it here). It has a pretty melody, and the words are peaceful and hopeful. I find it challenging, though, to help my Primary learn all the words. 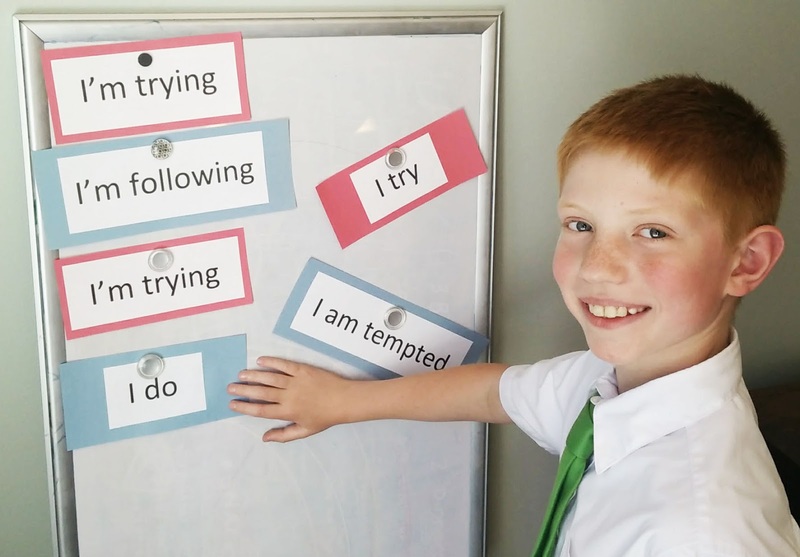 This activity helps the children take part in the memorization experience by coming up with actions to represent individual lines of the song. I would only do one verse in a given week, but if the kids show they really like the activity, you could review the following week and then add on the next verse. Learn the song really, really well. Then, think about the size of your Primary. How could you best divide the verse, so that each row or class could be assigned a line or two of the song? Ask the children, with their teachers' help, to come up with an action or two for a line of the song, which you will assign them. Start singing the song, walking by each row and pointing to them when you sing their line. When you finish the song, repeat--again walking by each row and emphasizing their line, so they can hear the words again. 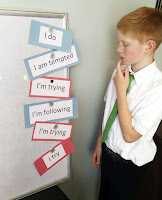 When each group has had enough time to create an action, ask them to show the whole Primary. Sing just one line, and then copy their action. Sing that one line again, asking the whole Primary to perform the action with you. Repeat for each group, and then put the whole thing together! Movement: The obvious. They get to do each action. Visual: The children get to see each group perform each action. Words: The children have to listen carefully to the words in order to create their actions. Also, for younger children, having something concrete to represent the lyrics is especially helpful. Cooperation: Each class/row has to work together to choose an action, and then the entire Primary has to work together to fit the actions to the entire song. The above activity would be great with lots of songs. See my post here, where I used it with "Did Jesus Really Live Again?" A Sensory Experience for "My Heavenly Father Loves Me"
Can we bring nature into Primary? This is a hard one for me to figure out. Nature is one of the 8 learning styles I describe in my post here. I believe that it's important to reach all of our children with varied learning styles, but this has been the hardest one for me to put into practice. 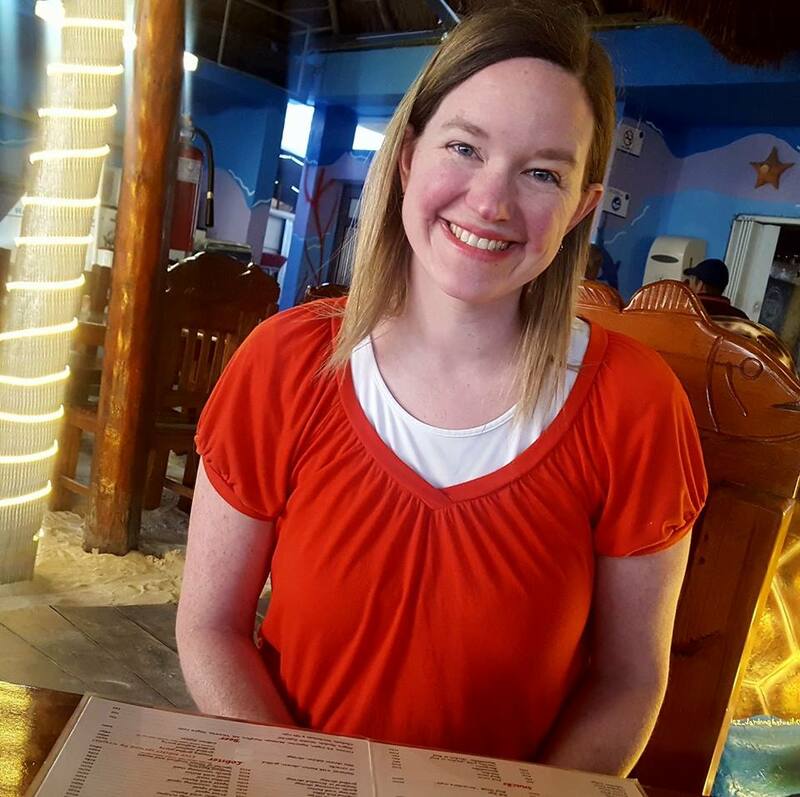 When I learned that "My Heavenly Father Loves Me" was the Sharing Time song for February, I realized this song--which talks about nature and our senses--is the perfect one to use to tap into this learning style. You're probably already done teaching the song to your Primary, so this is a good activity to review it or help the truth of it sink in. The gist of this activity is to help the children have sensory experiences that remind them of nature and tie into the major descriptions in verse 1 of this song. To make it fun and exciting, I turned it into a touch-and-feel guessing game. Make one set of the following bags for each class in your Singing Time, and label the brown paper bags with the following numbers. The quotes in parentheses are the words in the song that correspond to the items. 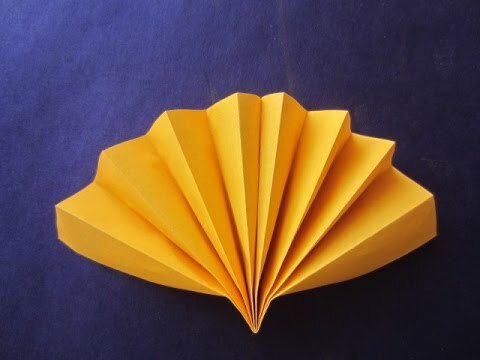 You can quickly make several folded paper fans. Before Singing Time, give one set of the bags to each teacher, with instructions to hold them back until the appropriate time. 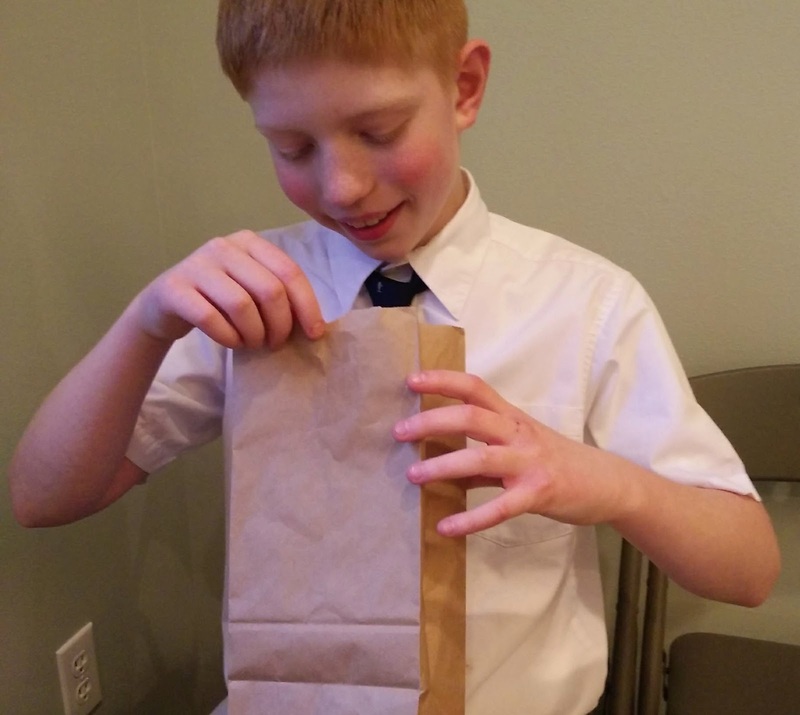 To intro the activity, have one different paper bag with a common item inside (matchbox car, spoon, pencil, etc.). Have two children come up front and take turns putting one hand in the bag, to feel what it is. Tell them not to say anything out loud yet, so their friend can have a turn to guess. After they've both had a turn to feel, ask them what they think the item is. Explain to the group that everyone will have a turn to play the guessing game, and they will have to listen to the words of the song to get clues. Set up some quick ground rules (no talking, passing the bags nicely down the row, etc.). Then ask your teachers to pass out bag 1, and you start singing! Sing only the first verse (quite possibly by yourself) as the children take turns feeling the mystery object and passing the bag to their friends. The teachers can help their classes as needed. Depending on the size of your Primary, you might need to repeat the verse more than once in order for everyone to have a turn. When everyone has a guess, stop the music and ask them to compare with a neighbor. Did they guess the same thing? You can take one bag and reveal the item. Point out the line of the song to which it corresponds, and then immediately call for bag #2 and repeat! Your junior Primary will likely not have patience for all 6 bags. That's okay! The bags are numbered to have harder items later in the lineup, so just stop when the children are too restless or when you think the clues are too difficult for them to guess, perhaps after bag 3 or 4. Senior Primary kids will have both a longer attention span and a greater ability for abstract thought. Make use of that by continuing the activity through bag 6. Tell them that these last items are tricky on purpose, and the words in the song are only clues as to what the items are. Ask them if they can match up the items to the words in the song they represent. Looking for more? For another nature-focused activity, try this one. -A song that lists several of the figures in the story of Christ's birth. "The Shepherds' Carol", "Picture a Christmas", and "The Nativity Song" all work well. First, model the activity yourself (or with one of your own children, if that works for you). Have your pianist play just the melody line while you start singing the song by yourself (or some kids can join in if they know the song). When you reach the point in the song where a figure is mentioned, take that piece out of a bag and set it up on a table in the front of the room. For example, here's "Picture a Christmas." Add each piece when the bolded word is reached. "Picture a stable in Judea. Picture a sacred, silent night. And can you hear the angels near, and see the star so bright. Picture a little baby Jesus, think of His life and works so dear..." etc. Ask if anyone would like to help you this time, and then repeat with a few responsible children in front of the Primary. Ask if anyone else would like a turn, and then go over your rules briefly. 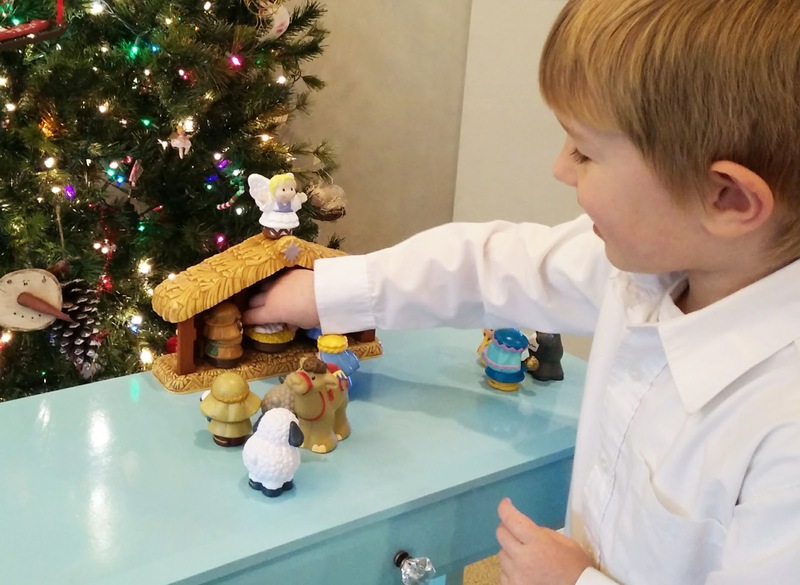 Have teachers supervise their classes at stations around the room with tables and nativity sets, and tell the children they have 30 seconds to decide which classmate gets to hold which piece. If there are not enough to go around, tell them you'll repeat it so everyone gets a turn. Then start singing again! This activity will not fill a whole Singing Time, but that's okay. It gets the children out of their seats, and it gives everyone a turn to participate. For some other posts about Christmas ideas, try chimes or a full Singing Time plan with a sampling of Christmas songs. The song for August (see the Church's Sharing Time Outline here) is "I'm Trying to Be Like Jesus." To teach it, I decided to adapt an earlier idea I got from Sharla Dance. (Check out her amazing music blog here!) This activity would only be appropriate for senior Primary, as it focuses on written words. To start, think about how many "I" phrases are in this song. I went through and counted. There are 6 in just the first verse! This song really helps the children think about themselves and what they can do to be like the Savior, and I want to focus on that. I made word strips of the first couple words of each "I" phrase in the first verse and mounted them on construction paper. (Here is my word strip file, if you'd like to save yourself five minutes.) You could easily extend this activity to include the second verse, as well. Start with the phrases scrambled. Tell the children that while you sing, you'd like them to unscramble the phrases from the song by putting the word strips in the correct order on the other side of the board. If they know which phrase comes next, they can silently raise their hand, and then you will come around and tap them on the shoulder for a turn. As you continue to sing the song over and over, they can retrieve their word strips and put them into place. After the word strips are all in order, ask the children what they similarity they notice about the phrases on red paper. They all are about trying. Ask the children to sing the song one last time while they think about why the word "try" is important in the song. After you take their answers, it would be a beautiful time to share your feelings about how our Father in Heaven feels about us when we try our best. The children's thoughtful singing is a wonderful preparation for them to hear your testimony. Pictures can add meaning to this action song. The song of the month is "The Wise Man & the Foolish Man." We all love it, but isn't it kind of simplistic? And, it doesn't really take a month to teach, does it? This song is great because with the repetition and hand actions, children learn it really quickly. It would be easy to leave it at that. If, however, you take the opportunity to explain a few eternal truths, you can help this simple song really strengthen the faith of your children. All I really do to teach eternal principles with this song is 1) bring a picture or two and 2) pause and explain. You can do variations for age with junior, senior, and even nursery. Actually, I love bringing this explanation and song into nursery the same month the older siblings learn it, as it's a great way to encourage gospel learning as a family. Kids love stories. (And so do I!) You can tell the children that today, you'll be telling them a story, but you aren't the one who told it first. Who did? Show them a picture of the Savior teaching, and let them fill in that blank. (In the picture above, I used The Sermon on the Mount by Carl Heinrich Bloch, found in the Gospel Art Book on p. 39.) 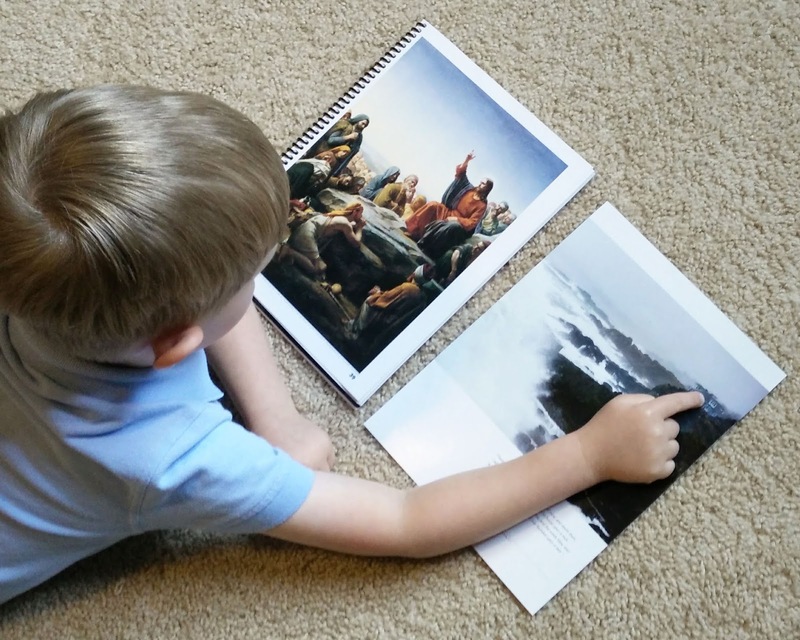 For nursery, you may want one picture for each child to hold. After you sing the song through, you could show a picture of crashing waves and rocks, or a rainstorm by a house. (In the picture above, I used a photo from the inside cover of the July 2015 Ensign magazine, but you could find or draw your own.) Some children learn best through visually connecting with what they're hearing. Then you could ask, "Why does Jesus care where we build our houses?" Keeping in mind the age group you're teaching, you can help them understand that the song is a symbol for what Jesus really wants for us. He wants us to be strong when there are hard times, just like the house can be strong when there are hard storms. Sing the song again, and then older children may enjoy thinking of what the storms, sand, and rock represent spiritually. In this way, they can connect at their level with a song we usually categorize as being for younger children. Looking for more? For an explanation of these symbols: , visit my page on the 8 learning styles.